So how does the $700 billion wall street bailout compare to other spending? 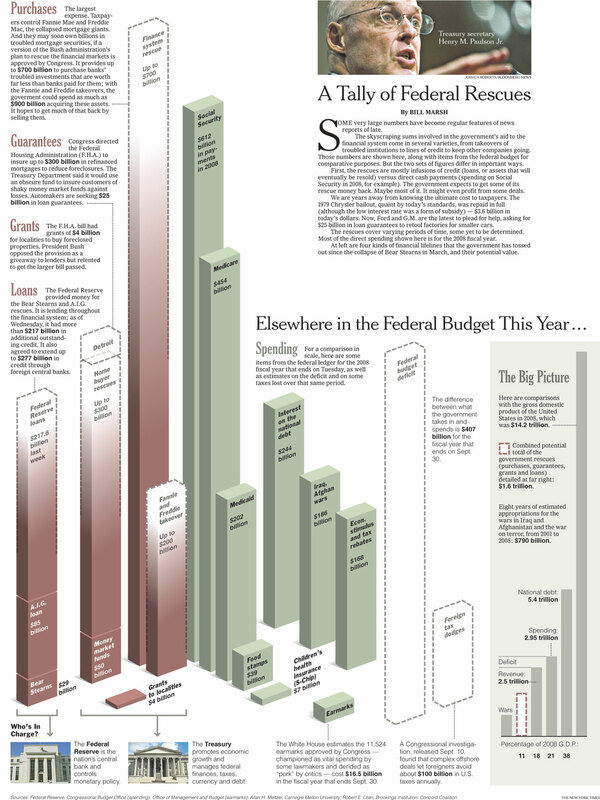 The Big Picture reproduces a great graphic in the NYT about how the $700 billion wall street bailout compares to other spending by the Federal government. 100 times the money spent on the S-Chip program to provide health care for children whose parents cannot afford it for one. One reminder, with what the Fed and Treasury have already spent to take over bad financial institutions or take on bad debt, $700 billion more puts at well over a trillion $ spent to bailout wall street. More likely the total will be $1.5+ trillion. Government-funded universal health care never looked so inexpensive.